To insure objective, impartial review of Appeal cases, Ontario Soccer uses third party external council. Ontario Soccer has an obligation to the membership to insure that the costs of the Discipline and Appeals process are covered. Accordingly, Ontario Soccer has made several key changes to various fees associated with the Discipline and Appeals process. These changes are effective immediately and apply to all new cases with Ontario Soccer. 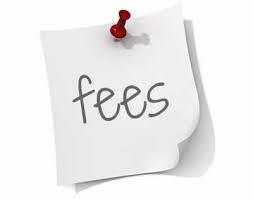 The appeal fee updates were included in the Board of Directors approved 2019 budget. Ontario Soccer Upheld Admin Charge (Appellant) increased from $0 to $150. Ontario Soccer Upheld Admin Charge (Respondent) increased from $250 to $750. Ontario Soccer Appeal Denied Fee increased from $500 to $750. Ontario Soccer Postponement Fee increased from $50 to $250. Ontario Soccer Discipline By Review Hearing Fee increased from $50 to $250. Ontario Soccer Request for Hearing Fee (for those under the penalty of “suspended until he/she requests a hearing") increased from $100.00 to $250.00. For information or further questions, please contact Matthew Braithwaite.